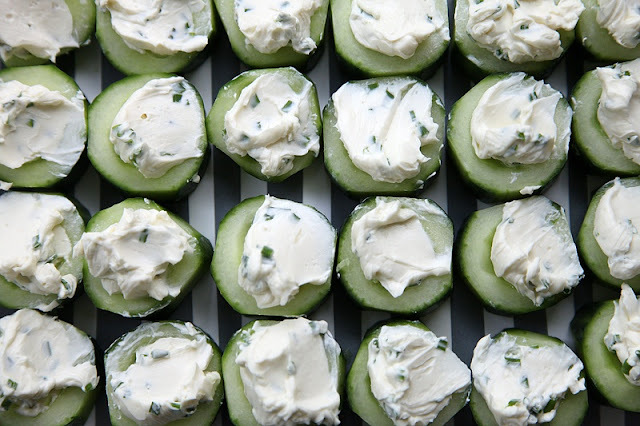 Last night we had our first barbeque of the season, and I made one of my favorite summer appetizers, cream cheese and chive cucumber snacks!! Do you remember this recipe from Design Sponge? There were only four left over, and I ate them before bed! Thanks for the link...I'm definitely going to try this! I want those.. in my belly.. right now! yum!!! They are sooo good! They will be a bit hit! Do it for sure! So easy! 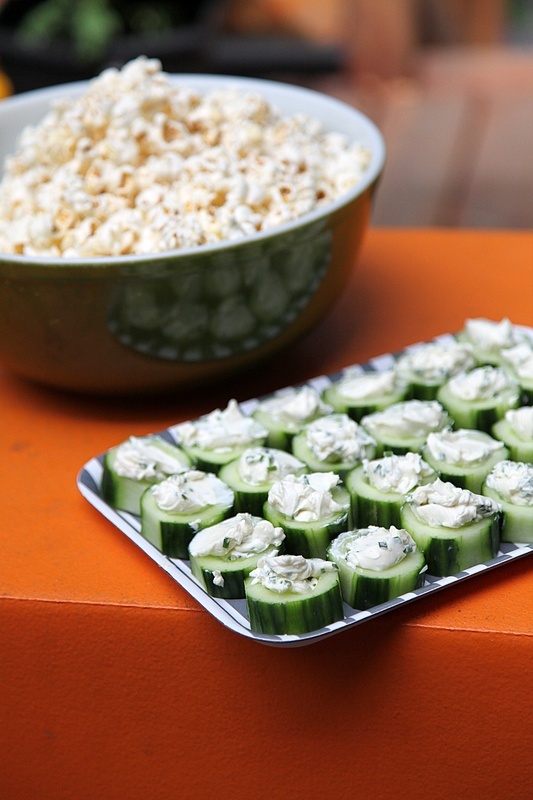 This is a recipe you will make over and over...a go to recipe! I guarantee it!